ONLY 26,OOO MILES---ONE OWNER--THIS HATCHBACK IS COMPACT, SLEEK AND FUEL EFFICIENT . 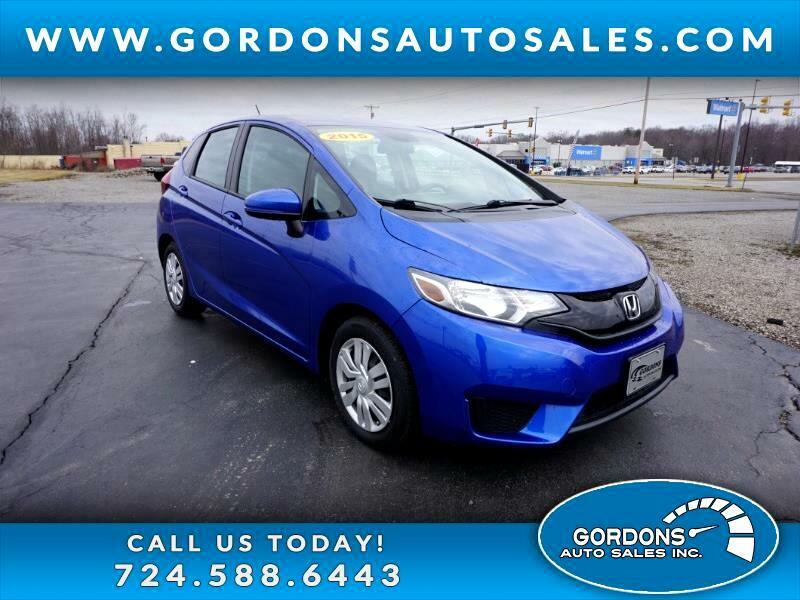 THE FIT OFFERS PLENTY OF STORAGE SPACE--AUTOMATIC TRANSMISSION---LX TRIM LEVEL ---POWER LOCKS---POWER WINDOWS---PA INSPECTED AND EMISSIONS. COME ON TO TAKE YOUR TEST DRIVE AT 62 HADLEY RD GREENVILLE PA OR CALL /TEXT 724-588-6443 FOR DETAILS. TRADE INS ARE WELCOME WE HAVE FINANCING OPTIONS FOR EVERYONE.